The company's "XPA news blacklist" is governed by two policies, the "misrepresentation policy" and the "good neighbor policy," which filter results to devalue sites the company considers to be either dangerous to users or undesirable search results, such a sites peddling conspiracy theories, hate speech and fake news, according to the Caller. The outlet notes that while this doesn't impact the so-called "ten blue links," meaning the first 10 search results, on which 90 percent of users will eventually click, it impacts basically all other aspects of Google searches, including "top news," "videos" and sidebars produced by the search. "Focus on the user," an anonymous source at the company told the Caller, describing Google's attitude. "Users need to trust any content that Google shows them, whether it's the 10 blue links or other special search results." However, Google's been caught red-handed being politically biased in its search results. Epstein's noted other examples, too, such as that Google's autocomplete provides the word "Ted" if you type the word "lying" but won't provide "Hillary" if you type "crooked," showing a preference for insulting nicknames for Republicans given by US President Donald Trump over those for Democrats. Another more benign example is that a search for the word "idiot" produces a photo of Trump. Google CEO Sundar Pichai was asked about this during a December testimony before the Senate Judiciary Committee, to which he replied that "we don't manually intervene on any particular search result." However, the Daily Caller's document from the company says otherwise, highlighting a "manual review tool" that's key to the maintenance of the news blacklist by Google's Trust & Safety team. It's not just algorithms — although even then, Google employees personally make over 600 changes a year to those algorithms. Given all of the above, it should come as no surprise to learn that some of the websites included on that blacklist include conservative news sites such as Gateway Pundit, Matt Walsh's blog, Gary North's blog "teapartyeconomist.com," the Conservative Tribune, and the website of the American Spectator, the Daily Caller reported. 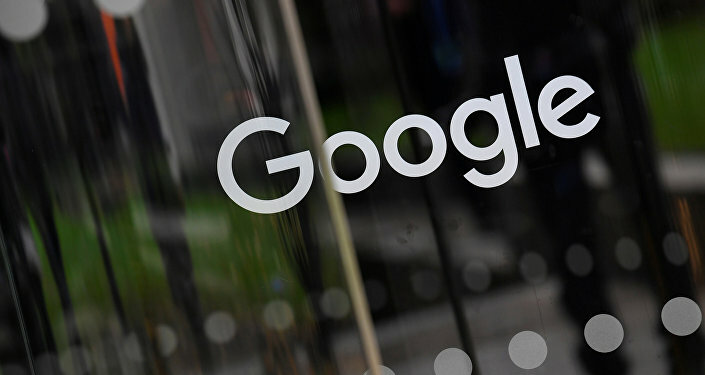 Epstein discussed Google's blacklists in a 2016 article for US News & World Report, in which he reported at least nine blacklists exist, including a news blacklist. He also discussed how, because of Google's incredible size, other browsers reference Google's blacklists in order to provide users with maximal protection from spam, phishing and other dangerous sites, which Google's search engine catalogs on an astounding scale. Because of this reach, in 2009, Google employees accidentally shut down most of the world's access to most of the internet for 40 minutes with a simple clerical error, he wrote. "It is yet another example of what I have called ‘Google's Dance,'" Epstein wrote in 2016. "The remarkable way in which Google puts a false and friendly public face on activities that serve only one purpose for the company: increasing profit. On the surface, Google's quarantine list is yet another way Google helps us, free of charge, breeze through our day safe and well-informed. Beneath the surface, that list is yet another way Google accumulates more information about us to sell to advertisers."